Hi Ajay, Thank You for trusting us with your query. Data is a very important aspect of “Data Science” and it is the fact that the various functional areas who own the real data, in roles of operations/sales/marketing, must have the power of data analytics. We have created a curriculum to specifically fulfill this need, where people like yourself would leverage the power of Microsoft Excel, and Business Intelligence tool, PowerBI. This is one of our most popular courses with people from different industries, especially in finance, operations, sales and marketing. I would like to draw your attention to the 2017 European Data Science Salary Survey, where 70% respondents have chosen Excel as their tool of choice for solving data analytics business problems. If you would like to go deeper using a programming language, then Python is looking to be the future of Data Science. Hope this gives you some clarity. Firstly thanks to your team for the good information and insights provided. Can this course address the following challenge : Transition of a person having 20 years experience in E R P software in implementation and support roles (completely non-programming but exposure to business basics of various verticals) in to a mid-senior / senior level Analytic s role. Please throw light on the functional / non-programming aspects rather than big-data in your answer. Thank you very much. Hi Kalyan, We have been talking to the folks in analytical services industry. The analytics projects, like other implementations (including ERP), definitely have the business and functional roles. The companies when looking for talent in the area look for people look who are skilled in Statistics, Machine learning models, and know some programming, so that they can be effective while working with the clients in understanding their business drivers and address them through data. The focus for our course is to help people become Data Scientists by learning the programming techniques. Considering what profiles an individual wants to pursue will need to then sharpen skills accordingly, the hand-on data scientists/programmers will need to practice solving data problems and doing considerable machine learning. The senior business and functional roles, will need to focus on Statistics and understanding Machine Learning models and its applications. One may still have to undergo analytical and coding tests to apply for the senior roles, this will vary company to company. As an actuary, what aspect of data analytics should I consider learning? You need the same basic foundation of Statistics and a software tool or a programming language to get into data analytics and Machine Learning for the field of actuary. You could go with Data Analytics using Python if you are confident by getting a heads up in python programming. I am sure that as CAs, you would find that data analytics is extremely useful in performing many of the crucial tasks like auditing. However, I don’t have access to reports or articles from CAs who do this, but it does appear that it is not a broadly available skill and therefore the value is still to be uncovered. Now coming to the possibilities. Once you know how to work with data in terms of slicing/dicing and performing some transformations on it, to Statistics, Visualization, you will be able to bring a lot more value from the data that you collect. One needs to build skills, and one of the most powerful tools are Microsoft Excel and PowerBI alongwith the foundation of Statistics. If you want to then go deeper into building the models, one will need to learn programming or build a team. I am BCA/MBA in Marketing,currently working in Admin department having 4 years of experience. I do not have any background of technology or about Data scientist or Data analyst. Can I take this course or how it will help me to grow in future?? Hi Priyanka, I am slightly confused, as you say you have done BCA, that is Bachelor in Computer Applications, however you also say that you do not have background in technology. What was your course about? Considering that you call yourself non-tech, I would recommend that you start with ‘Analytic Techniques using Excel and PowerBI’. This will definitely help you become advanced Excel user, and you can do pretty good insights, and power with Statistics and a Visualization tool of PowerBI, you can look for Business Intelligence (BI) roles. hai swetha.. i am doing my M.Sc Computer Science course..Now last semester going on..This semester i doing my project in Data analytics. But i dont know what is data analytics ..My guide told us to me to learn Python language thoroughly … so how it will be useful in my education? You say that you have a project to do, and you don’t know the subject. I hope your course covers some introductory Data Science or it may not. Academia is often slow to catch on the most relevant skills required in the industry. I would agree with your guide, and definitely encourage you to learn Python as a programming tool for Data Science. We have many students like yourself successfully learning with us. Why don’t you register for the Orientation so that you get a head start and then we will help you register yourself to do the course. Am IT Infrastructure and Service Delivery ( user support ) guy having some 14 + exp , but feeling need to have changed or evolved profile further considering the disruptions in the tech market. Can you advise some course suitable to my stuff. I would solicit a discussion with you before we get into the skill building part. The technology space can be very vast, and to understand your interests and more about current skill set, it will judicious to first brainstorm a little bit. Please email on shweta.gupta@digitalvidya.com with your contact and suitable time for us to call you. I am a graduate. I completed my graduation 10 years back and working in an MNC as Sales and Marketing associate. I would like to enhance my career by doing data analytics. However, I am not sure where to start from and what’s best for me. I have done my bsc chemistry and currently working in MNC company, as a back end executive. I want to take this course to make my future in data science. Do you have training center at Gandhinagar gujarat. We have all our classes conducted online. Do talk to us for further discussion. I am graduated in BBA, working as a market research executive so, I want to know would I am able to persue data analytics course ? If no, please help me with suitable course. Thanks for showing faith in our advice. Firstly, it is good that you have done a course in Business and then taken up Market Research. That is a perfect place to start. Now coming to your question. 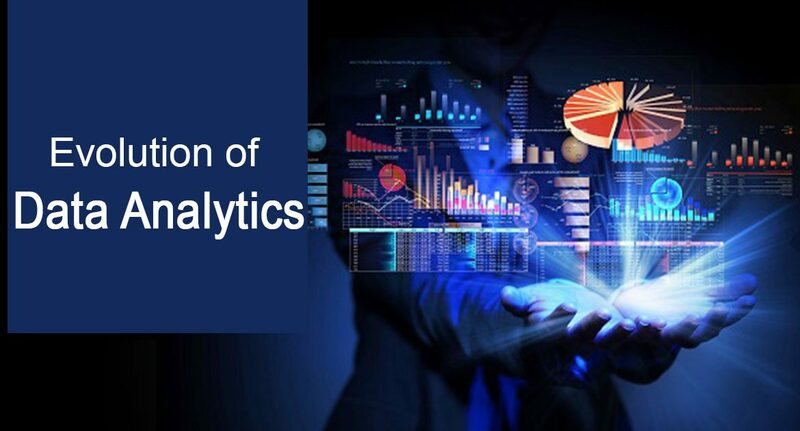 Yes, you may take up a Data Analytics Course as most of the decision making in the current day business environment is based on the analysis of Data. Now, Data that is unsolved doesn’t solve many business puzzles, and Analytics plays a major role in making large unstructured data informative. That’s where Data Analytics comes to rescue. Data Analytics is a budding industry and with an increase in data, it’s only growing. Another good thing is that Data Analytics doesn’t need any coding experience. In our estimation, Data Analytics is a great course for you. We would strongly recommend it to you.